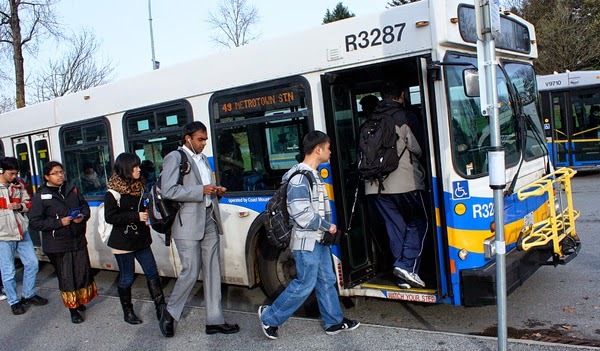 With voting in the Metro Vancouver transit and transportation plebiscite set to begin on March 16, the debate is heating up over whether or not sales tax in the region should be increased by 0.5 percent to fund extra and expanded transportation services. The “Yes” side argues planned expansion and improvement are needed to meet the challenges of a growing population and increasing congestion. Meanwhile, the “No” side argues that taxes are already high and administration of the system, particularly by TransLink, has been inefficient and ineffective. If the “Yes” side triumphs, the administration of the revenue and expenditures under the proposed plan must receive close scrutiny with complete transparency and accountability. The governance model currently used to administer the entire system also requires a complete overhaul so that those controlling the regional plans, priorities and funding of transportation are completely accountable to citizens. The “Yes” side has suggested an oversight function for an ad hoc committee led by B.C. business mogul Jimmy Pattison to insure the efficient and effective use of the increased funding. However, this is far from sufficient. The system requires a dedicated Inspector-General-type office, similar to that of many transportation systems in the United States, that would be charged with day to day oversight, investigation and auditing. This office should have the power to examine contracts, identify best practices, and publicize any maladministration in the region’s transportation system. This new office should be created by the province through statute which would be much more legitimate than an ad hoc committee and would help inculcate confidence in how funds are spent. There is also an absolute necessity to re-configure the current governance model at TransLink so that the organization becomes more directly accountable to the region’s citizens. Citizens have little ability to monitor the organization’s operations and to hold officials to account. When TransLink was originally created, the board of directors of the organization was selected from the then GVRD—now Metro Vancouver’s—board of directors. All of these directors were elected mayors and councillors from the region. There were unquestionably flaws in the original system, however, the province threw the baby out with the bath water in 2007 when it created the current system of an appointed corporate board alongside the mayor’s council. It is the province’s responsibility to show some leadership and create a new system that allows little distance between citizens and those in charge of the region’s transportation system. I will probably support the “Yes” side in the plebiscite, although I will hold my nose while doing so, unfortunately. If I followed my heart, I would say not a nickel more should be given in support of the system until the issues of accountability and transparency are solved. If I follow my head, I know how important it is to fund the maintenance and expansion of the system looking to the future. Hopefully the current debate over the plebiscite issues will increase pressure to create better oversight and accountability within the region’s transportation system. Opinions expressed in this story are those of the author and do not necessarily represent those of Douglas College.